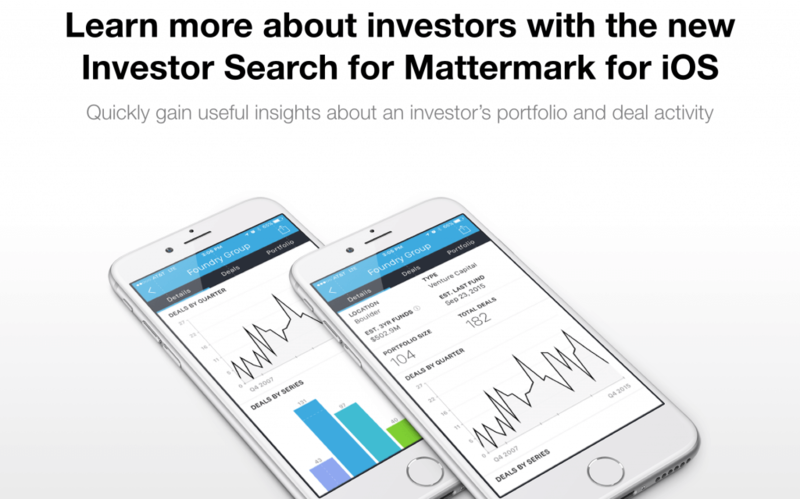 We’re excited to announce that you can now look up and learn about startup investors using the free Mattermark for iOS. Does Foundry Group invest in companies in my industry? Does Social+Capital Partnership typically invest in Series A rounds? How frequently does Andreesen Horowitz make an investment? Which companies that I might recognize are in Battery Ventures‘ portfolio? Keep tabs on your colleagues’ and competitors’ investment activity no matter where you are. Use Investor Search before meetings and events to bring yourself up to speed on a firm’s activity or to determine if they might be a good follow on investor in your latest round.